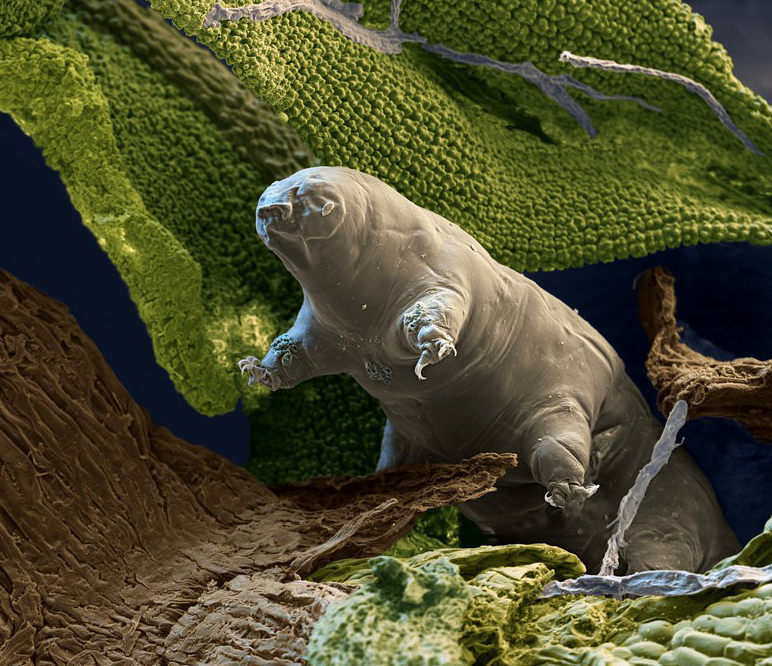 Less than 1mm long Tardigrade (slow walker), or (more affectionately) ‘Water Bears’ can live just about anywhere. When dehydrated they enter a stasis, and can be blow around on the wind. They can be reanimated up to 30 years later. 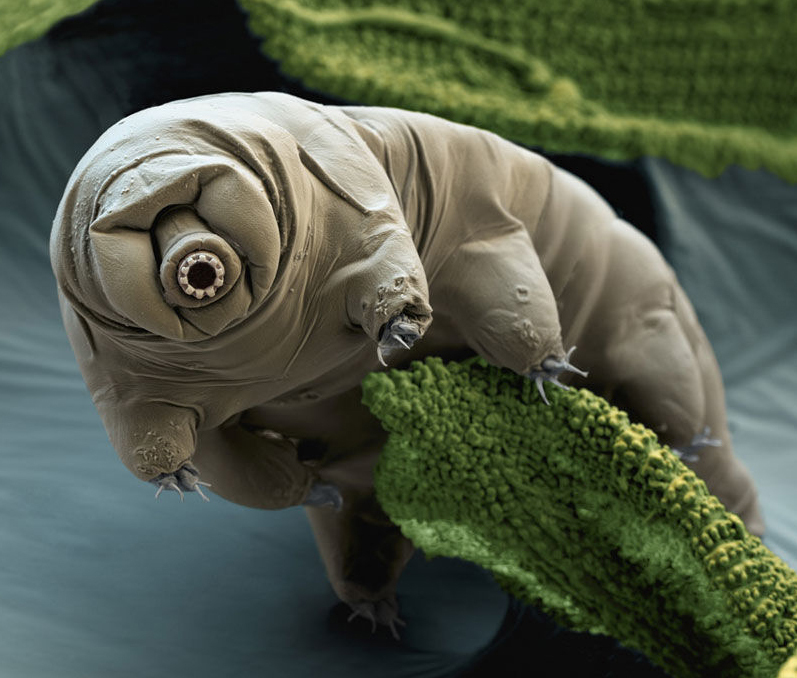 Electron microscope image of Water Bears and their egg form source Eye of Science. 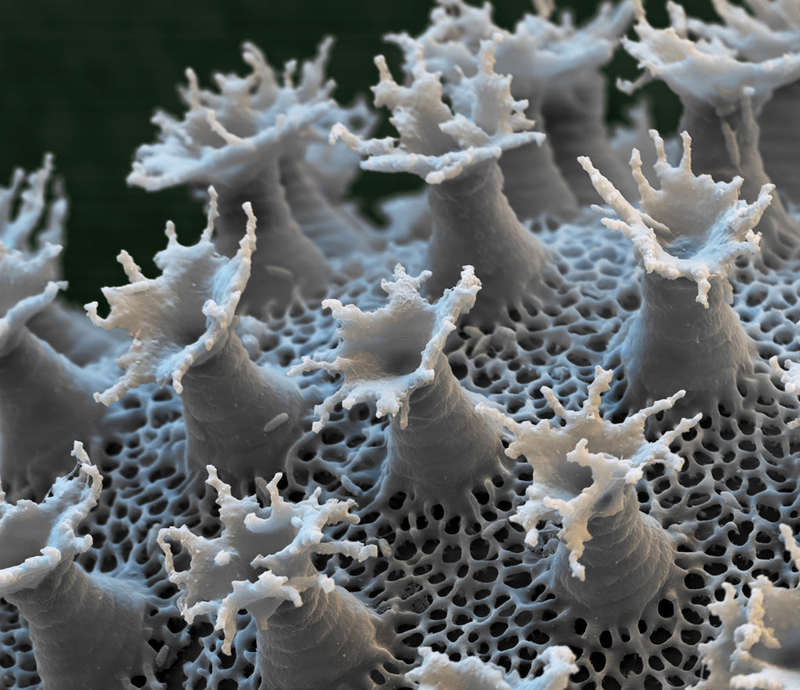 For more info listen to BBC Natural Histories.